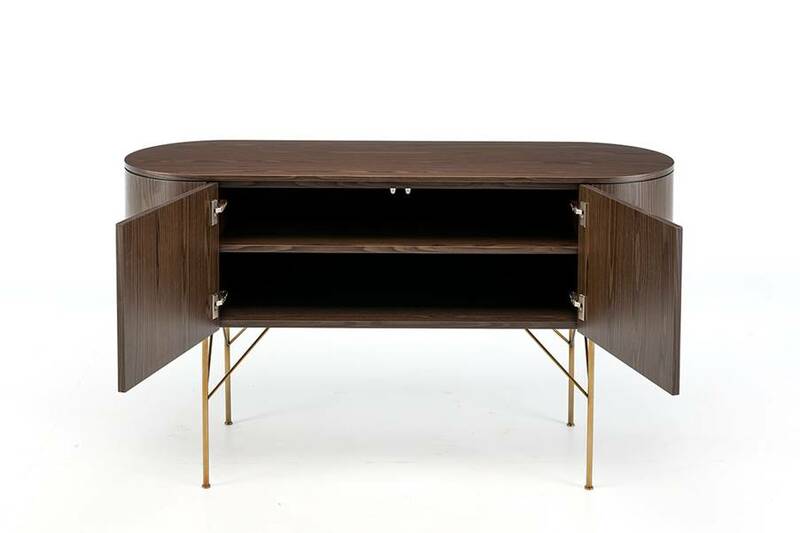 Contemporary Art Deco meets Mid-Century design. The Frankie is made of reconstituted planked veneer. 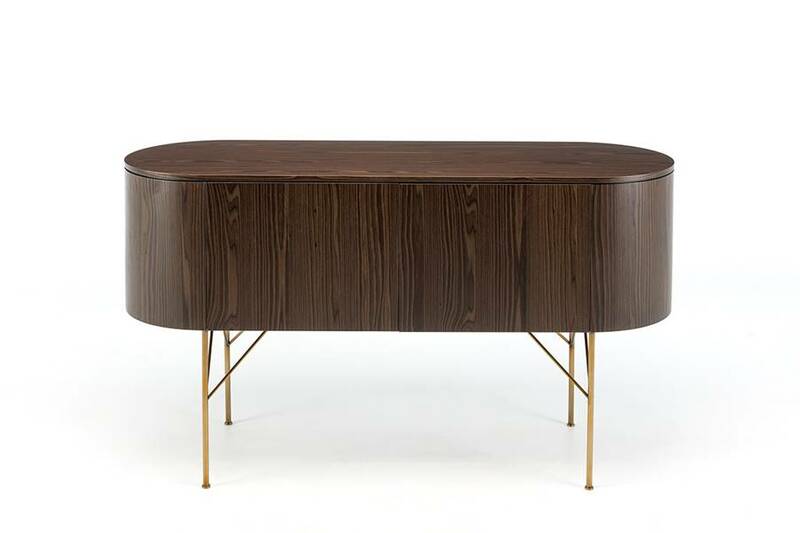 The metal base has a brass lacquered finish. Inside complete with adjustable shelving. If you require this piece to be longer or higher, please call us for more information. Unfortunately, due to the gorgeous curved detail we cannot change the depth.